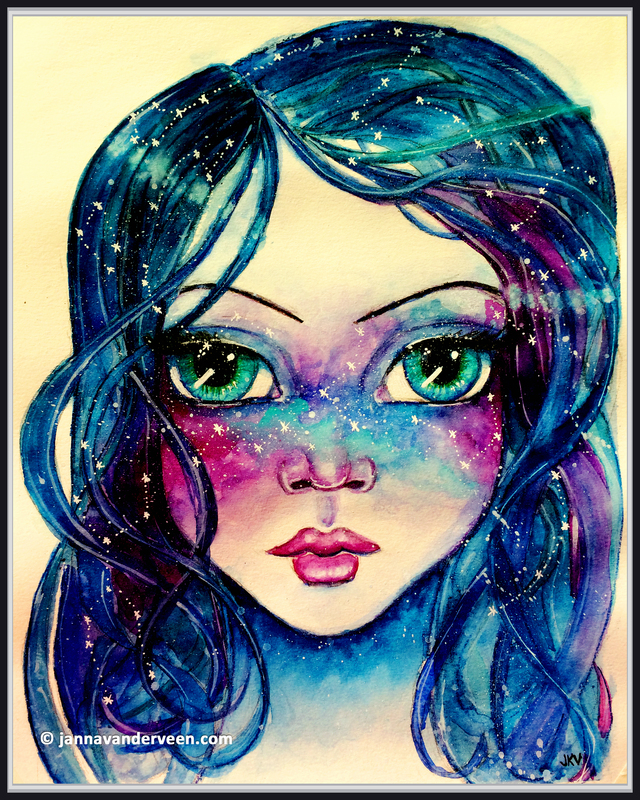 She holds galaxies in her gaze and dreams life into existence. If you click on the word Qinni (or the one above) and follow the link, you will be taken to the artist’s YouTube page where you can watch a speed drawing of how the original artist drew this painting. This painting on my page, is my study of her painting, based on her speed drawing as a tutorial.